STORM & Co. is constantly striving to be recognized as being one of the most professional transport service providers in the Road Freight Industry. 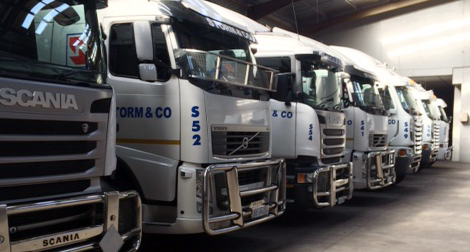 Silvercross Transport t / a Storm & Co., is a privately owned (PDI), South African company based in Durban, province of KwaZulu-Natal. The company's infrastructure provides adequately for the magnitude of Its Road Transport undertaking, accommodation, administration offices, maintenance workshop, wash-bay, storage/warehouse facilities and parking of all equipment under one roof. The premises is monitored 24 hours and armed guard services are provided. The company which serves mainly the Shipping and Forwarding Industry, is adequately geared to provide its clients with an efficient and reliable road transport and warehousing service. Long distance and local road transport of both import & export containers, together with break bulk cargo are catered for. 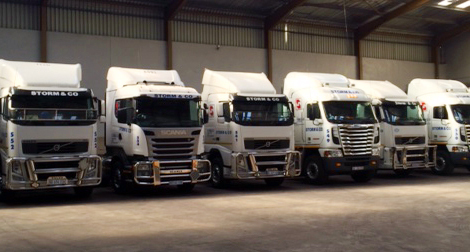 In-House Warehousing facilities are available for customers requiring storage of general cargo. Including bulk cargo, drums, bags, cartons, boxes, etc.